It’s surprising it hasn’t happened before now, but Google has announced that it will stop supporting two of its oldest Android operating system generation following an upcoming update to Google Play Services. That means in early 2017 we can wave a fond farewell to Android 2.3 Gingerbread and Android 3.0 Honeycomb, arguably two of the more delicious flavors, sorry, versions. But, after 5 or 6 years out in devices, they’re probably well past their expiry date. Gingerbread has enjoyed a good reputation since its launch and is one of the most widely used versions of Android that’s been released; even when Jellybean was launched, many lower end devices were still released using it. Honeycomb, however, was less beloved. After lauching in early 2011, it was eclipsed by Ice Cream Sandwich later that same year. Even now, 1.3% of Android phones in use apparently still run Gingerbread, though Honeycomb doesn’t hold a share of the distribution space at all. 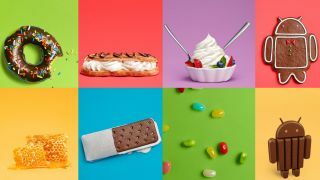 So, what this means is that those Android phones still running operating systems older than Ice Cream Sandwich will no longer receive product and security support from Google. According to Google, most developers have already stopped supporting Gingerbread in most of their apps anyway, understandably preferring to use the more advanced capabilities of the newer Android platform updates.